BOSTON, U.S. — Jooyeon Jeon, representing South Korea, has won the 2019 World Barista Champion. The 20th edition of the competition organised by World Coffee Events took place from Thursday to Sunday at the 2019 SCA Specialty Coffee Expo. Jeon was the second female barista to earn the title after Agnieszka Rojewsk of Poland, the 2018 winner. Michalis Dimitrakopoulos of Greece was runner up, Cole Torode of Canada was third place, Mikael Jasin of Indonesia was fourth, Wojtek Bialczak of Germany was fifth place, and Mathieu Theis of Switzerland finished in sixth place. Jia Ning Du, representing China, was the winner of the 2019 World Brewers Cup. Second place went to Patrik Rolf from Sweden and third place to Alessandro Galtieri from Italy. They were followed by Chikako Nakai (Japan), Hsu Shih Yuan (Taiwan) and Daniel Hofstetter (Switzerland). The final rounds for both competitions took place on Sunday at the Boston Convention and Exhibition Center . 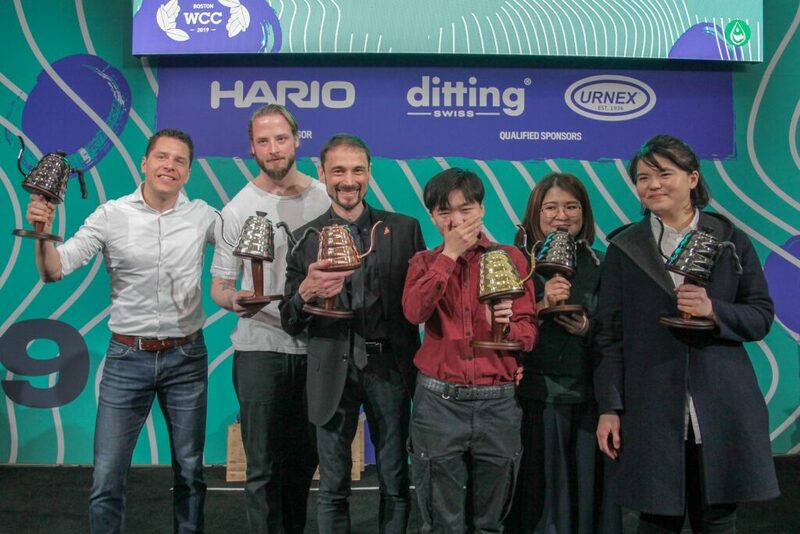 Team Knockbox won on Friday the 2019 World Barista Championship Team Competition, earning Martha Grill a wildcard placement into semi-finals. The Team Competition, introduced in 2016, puts each competitor on a team with 5-6 competitors from various national bodies for support and camaraderie. Each of the competitors still give an individual performance on stage, and the ranking of that individual performance contributes to their team’s score.